I am highly passionate about embodiment and I love movement, astrology, performing arts, a good cup of tea, soulful conversations, co-creating transformational events and have not had a winter in close to 10 years. Born and raised in Byron Bay/ Northern NSW I grew up thinking that the rest of the world was lush and green, filled with open-minded creative people who easily exchanged smiles on the streets and danced all night under the full moon. Fast forward to the current day and with a passport filled with stamps, diaries filled with far-out stories and an accent which doesn't sound local to anywhere. 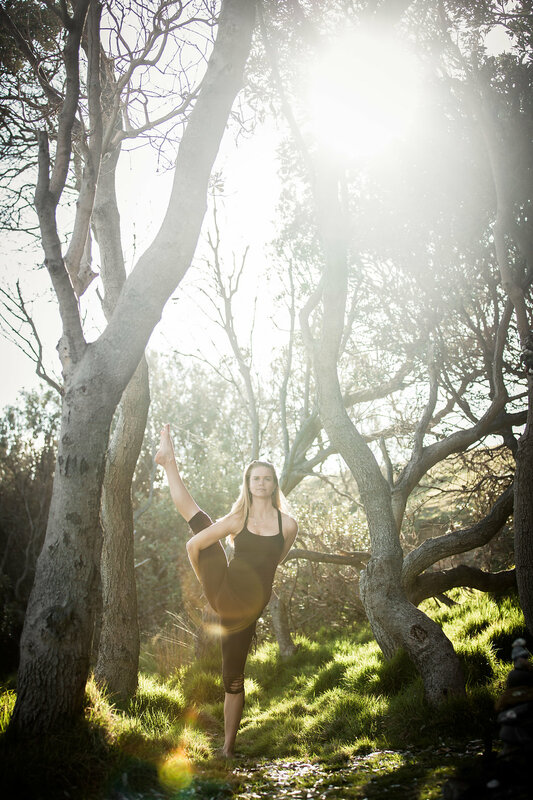 I now have multiple pathways to my business which include a Prana Vinyasa Affiliate Yoga Teacher Training in Australia, yoga workshops and immersions at a variety of festivals and studios in Europe during their summer. I have an online jewelry and clothing label (Devi Designs) where I create Goddess inspired silver jewelry, malas, and clothing. Plus a Yoga Mentorship program which is a platform of support for yoga teachers and students regardless of where they're at on their path. I love working in a very bespoke 1:2:1 way with people to support them to rise and shine their unique and inspiring light out in the world. Dance was my first love. For as long as I can remember all I wanted to do was dance which lead me to start teaching at a very young age and performing locally and internationally at festivals, clubs, and different events. At high school, I chose yoga as my sport plus it was part of my dance training and from then on its been a huge part of my life. While living in Europe I studied Dance Movement Therapy and completed my first yoga teacher training and found these two practices support and compliment each other so beautifully and basically, I didn't look back! You have practiced and taught with Shiva Rea for many years, what makes her and her teachings so special? Thinking about this question reminds me of the Tao Te Ching quote 'When the student is ready the teacher appears" and after following Shiva on youtube for many years I signed up for her workshop in London around 2006 and my body and soul fell instantly in love with her transmission of Embodiment. For me, Shiva is my first teacher who speaks directly to my cells, no other movement coach, mentor, teacher or guide has done and continues to do so, which for me is profound. She effortlessly interweaves yoga philosophy, movement anthropology and yoga asana with modern day experiences making the Prana Vinyasa Yoga practices accessible and easily relatable to all. I have attended and assisted her trainings for more than 10 years and each time her delivery and teachings evolve, they gain a deep richness and really reflect her individual commitment and selfless service as a teacher in today's world. Three years ago I started to offer the first 200/300hr Prana Vinyasa Yoga TT across Australia and I am so incredibly humbled and grateful to have her blessing to pass on her teachings in my own way. Shiva is my teacher, a loving sister, inspirational mentor and an incredible woman with a big heart overflowing with infectious joy. Where do you see yoga going in the future? What have you got planned in 2019? After a hectic 2018, I am committed to incorporating more self-care into all my offerings. For example, my Movement As Medicine Bali retreat in April has a huge focus on radical relaxation and self-rejuvenation and includes learning how to make your own healing body balms and scrubs which I am really looking forward to! 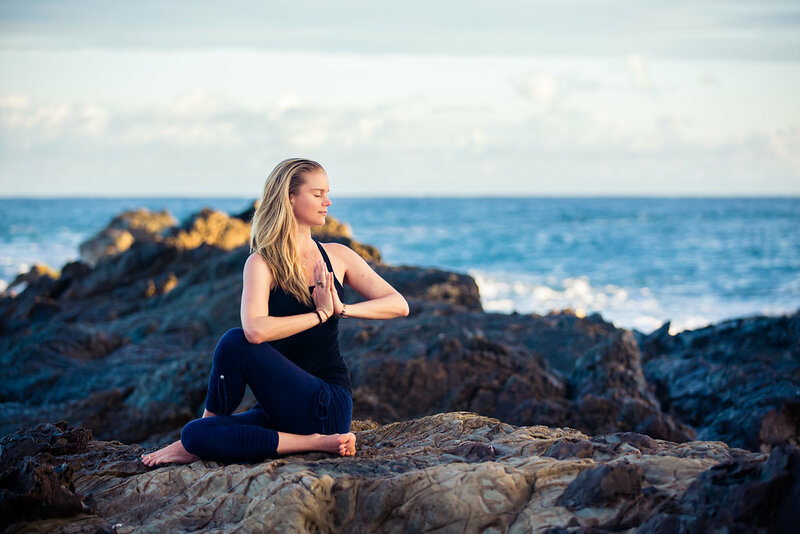 My Prana Vinyasa affiliate yoga teacher training starts in May for 10 months and each module includes a restorative component from an Ayurveda perspective. We use high quality and organic Ayurveda oils for self-massage and to help balance our dosha's for continued health and vitality. Plus I am turning 40 towards the end of the year so I am currently meditating and listening deeply to how I want to mark this occasion! Want to publish on FindYoga?